When will Marvin the Martian learn that he can't mess with the galaxy while Duck Dodgers is still around? The relentless Marvin is at it again, and this time he's planning to destroy the whole solar system with his P-38 Space Modulator. 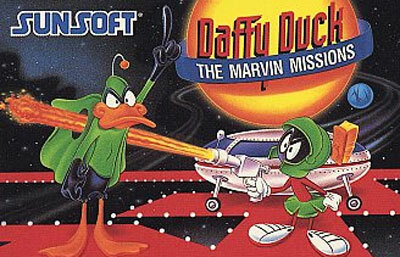 You've got to take control of Daffy Duck's alter ego, Duck Dodgers, and put a stop to Marvin's latest plot. Through 20 levels of hilarious action, you'll do battle against an army of wacky enemies: needle-firing cactus, an undersea contingent of Instant Martians (just add water! ), and of course, Marvin himself. The animation-inspired graphics are awesome, the Looney Tunes roster is well represented, and the digitized characters voices are out of this world. So, get ready to save the galaxy (again) and foil Marvin the Martian's evil plans.